It’s no secret that women in sports are pressured to feel a certain way about their femininity and strength. We saw it in the ESPN Body Issue with talented Olympic athletes, admitting that they had to tune people out that tried to diminish their talent to only what they thought a woman could do, or how far a woman should go in fear of looking muscular. 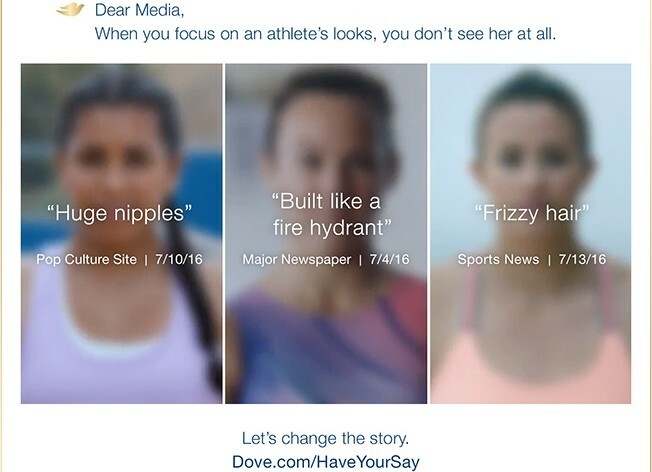 And in Dove’s new ads, there’s a clear declaration that the discrimination of female athletes can no longer be tolerated. The campaign, “My Beauty, My Say,” encourages the public to challenge the media on its biases and force them to do better instead of writing a bunch of think pieces on women athletes that only further distances the problem: your gender shouldn’t matter if you’re a great athlete. And Bremner went on to make a stellar point that we’ve made when fans complained about Serena Williams’ outfits, “If you want to criticize them (female athletes), criticize them on the field, not how they look playing the game.” Watch the video below and tell us what you think in the comments.